Another discovery on one of my evening bike rides downtown Northfield this week: Nongnuch ‘Gam’ Prathueng has moved her Gam’s Thai Massage to Division St. in the space previously occupied by Pan Pan Café (side room). 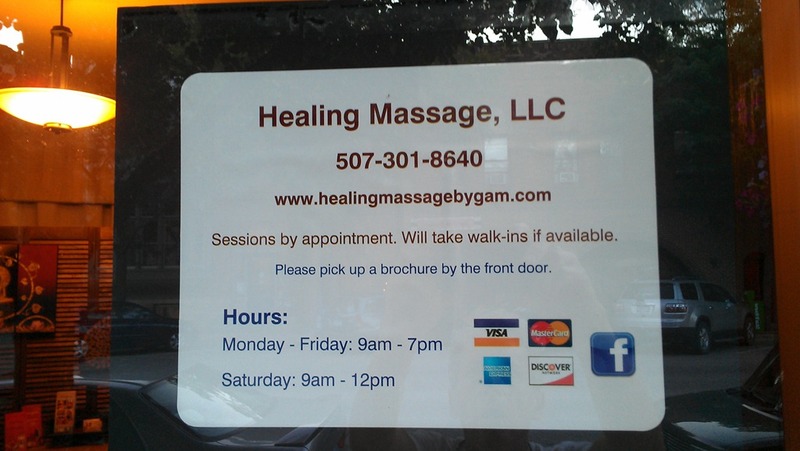 She’s renamed it Healing Massage by Gam (website URL not working yet). Prathueng, who moved to Northfield 10 years ago, first learned about massage as an 8-year-old from her grandfather. In 2001, she took a professional therapeutic Thai massage course. Prathueng says Thai massage is not the same as a massage that most Americans are familiar with—one that puts the recipient in a relaxed, sleepy state. She describes Thai massage as a massage that does relax you, but also helps with healing, relieving pain and energizing the recipient. Prathueng recently finished coursework for an AAS degree in clinical sports massage, expanding her skill set. 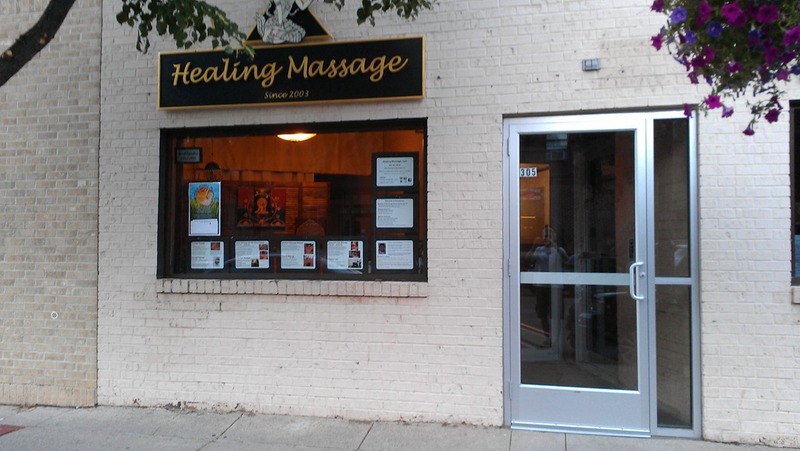 Because of this, Prathueng’s business, which has been known as Gam’s Thai Massage, will be renamed Healing Massage when it opens downtown in mid-May. When you don’t have time to go to massage every week, it’s recommended to buy a massage chair, before you buy I recommend to read massage chair reviews from https://reviewsfield.com/best-massage-chairs/.